I just posted a couple of deals where you can save on your Vegas hotels with American Express. It looks like right now, there are very inexpensive flights available on Jet Blue from Ft. Lauderdale to Vegas, with several dates to choose from. I was able to grab the following on Priceline.com. December 2- 6th, Ft. Lauderdale to Vegas $70! 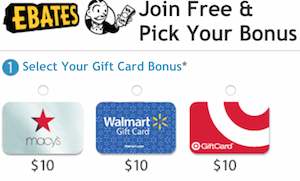 What Credit Card Should I Use? 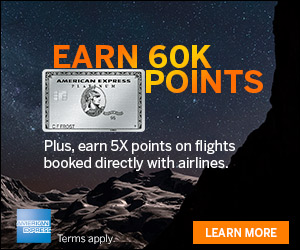 Make sure to use a card that will earn you bonus points on your airline purchase, like the The Platinum Card® from American Express which earns you 5X points for flights booked directly with airlines. 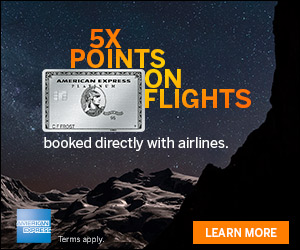 Or consider the Premier Rewards Gold Card from American Express which earns you 3X points for flights booked with airlines!